I grew up watching US television and hearing of "brownies" (e.g. My Favorite Martian). I never made them until we moved to the US. This recipe hails from our wonderful client and friend Beverley Dorfman (Jane). A handful of butterscotch chips - secret ingredient! 2. In small bowl combine flour and baking soda. 3. In small saucepan combine butter, sugar and water. Bring just to boil then remove from heat. 4. Add vanilla and one cup of chocolate chips. 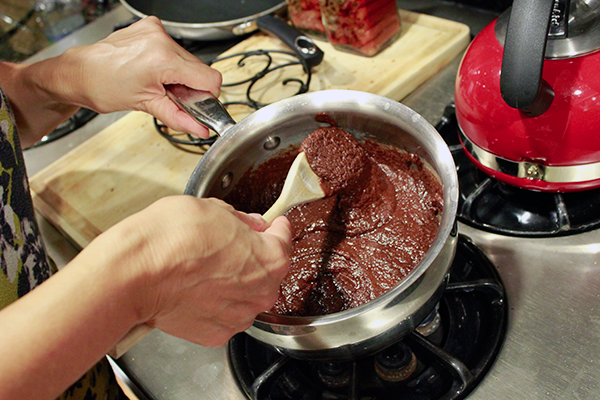 Stir until chocolate chips have melted and mixture is smooth. 5. 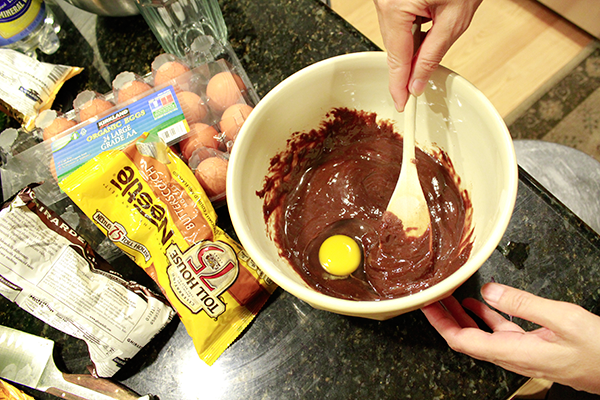 Transfer chocolate mixture to a large bowl and add eggs one at a time and blend after each one. 5. Gradually blend in flour mixture. 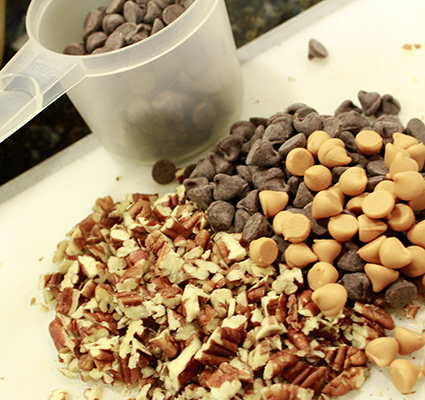 Stir in remaining chocolate chips and chopped nuts if using. 6. Spread into a 9" greased square pan or something similar and back 30 - 35 minute. 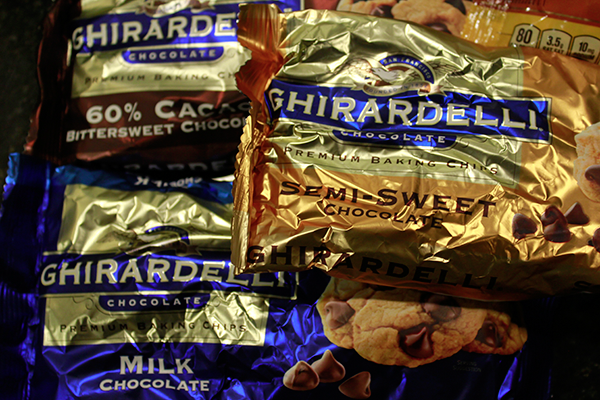 Tip: Beverley suggests adding a handful of butterscotch chips with the second cup of chocolate chips. 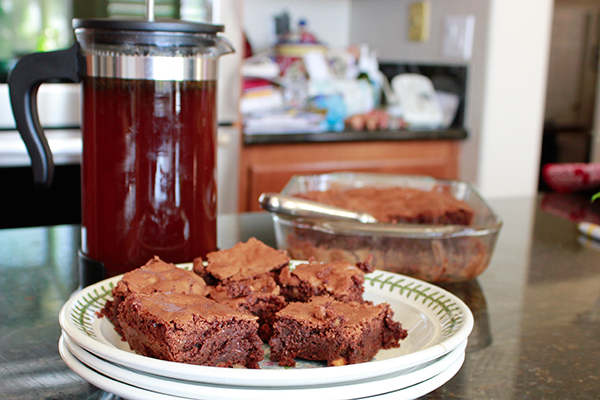 This is special secret ingredient which only makes these already delicious chocolate brownies even better. Tip: You can double this recipe and Beverley says it freezes well - though it has never lasted here long enough to bother. Tip: I like to serve with fresh berries for an attempt at a healthier dessert.